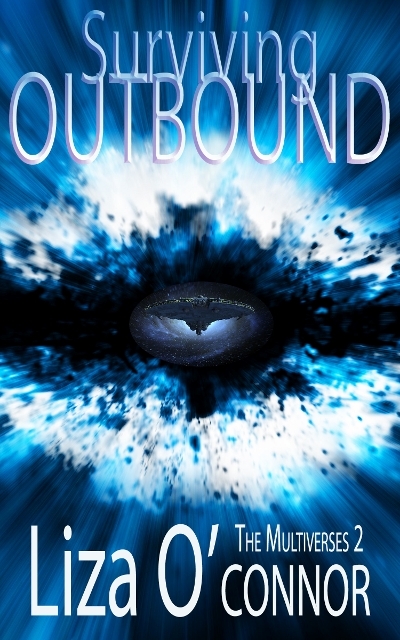 What destroys all modern societies on Earth in Surviving Outbound? It’s scary how many realistic choices I had. However, I chose the magnetic poles reversing because that will almost certainly happen (anywhere between 20 & 2,000 years from now, (we don’t actually know, but the process appears to have already begun, it just takes it’s time) and there is nothing we can do to stop it. During the long reversal process, the magnetic field could drop to 10% of its current strength (based on computer programs), allowing solar flares from the sun to fry our electrical grids. The consequences will collapse all economies that depend upon electricity unless we ‘harden’ our electrical grids by ensuring the EHV (Electrical High Voltage) transformers don’t fail under strong and sudden electro-Magnetic pulses, but the bill never gets past Congress, no doubt because the cost would be several billion dollars. The Magnetic Poles have reversed many times before. Some reputable sites claim it caused no serious problems when it flipped, and won’t cause us any trouble in the future. But that statement, with no evidence to back it up, is absurd. Exactly who did they ask? Humans weren’t around 786,000 years ago. But looking at later reversals which are considered to be minor excursions, animals have gone extinct during the same time as the reversal period. Was it coincidence, radiation poisoning, or cancers?) Honestly, I got the feeling a couple of the Science articles were written just to calm us down so we won’t freak out, as other bloggers try to reveal our real risk. Even how often the reversal occurs varies greatly by blog site. Some say the last one was 786,000 years ago, but others say the last one was 11,000 years ago. Whichever is the correct answer, it’s irrelevant. No creature stored all their hard earned money in digital form, dependent upon electrical grids when they incurred a reversal in previous times. With certainty, this will be the first time most economies run on electricity. In my story, a series of solar flares blast the Earth just as the magnetic fields are at their weakest strength, frying all electrical grids around the globe. One of the consequences is all the digital money in banks and investment houses disappear in the blink of an eye. “But wait,” you say. “The banks have backups for their data.” They do. Huge electrical databases, which might still hold data if they had the foresight to unplugged them, exists but you’ll be long dead by the time they can safely retrieve it since with the grids down, there’s no electricity. “But there are fuel-driven generators,” you remind me. Yes, but how long will that last? Sea and air travel will have ceased so any fuel, must be obtained locally. All manufacturing sites will soon close due to the lack of electricity, so if a critical part gets fried by yet another solar flare, all drilling stops once they run out of backup parts. In a short time (10-20 years), all major countries will be in very bad shape. Looting and theft becomes an act of survival. Those who remain in the cities live by the code: Kill or be killed. Others not willing to kill and eat their pets and neighbors, try to escape to the lands of the Shamans. The Shamans never used electricity and their banks keep accounts on paper ledgers. However, the number of people who arrive at their gates wanting help will overwhelm their cities, so with regret, they must bar the gates to their land. Unfortunately, desperate starving people don’t give up and die just because you won’t let them in. They’ll group together and figure out how to break in. And this is why going Outbound, even when the survival rate of outbound colonists is less than 5%, sounds like a really good idea. After a grunt of concern, Blue placed his head on the metal gate and pushed forward. Less than a second later, the lock gave way and the gate swung open, cutting Tamara in two. “Blue, that was very rude,” Tamara chided as the air wavered and her form reunited.